Do you own a company blog or a personal blog? 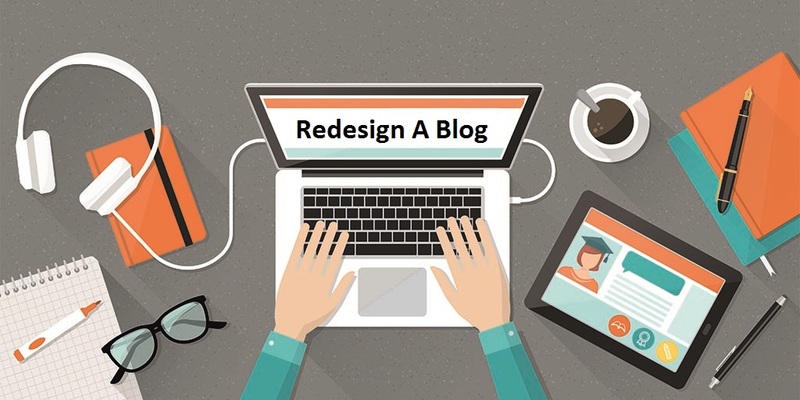 Have you considered the option to redesign your blog? What would this encompass? What are the things you should do in order to make sure you did a good job? Blogs are still popular, whether they belong to businesses, eCommerce websites or individuals. They are one of the best ways to communicate with the outside world and build brand awareness through content marketing. The brand concept encompasses everything that has to do with your business or personal identity. Starting with the logo, and up to the customer services you are providing, it defines not only your visual image but also the way your customers or fans perceive you. A solid brand image is not only built on trust and excellent service but also on the visual representation of your website. Moreover, people tend to give more value the brands they recognize. 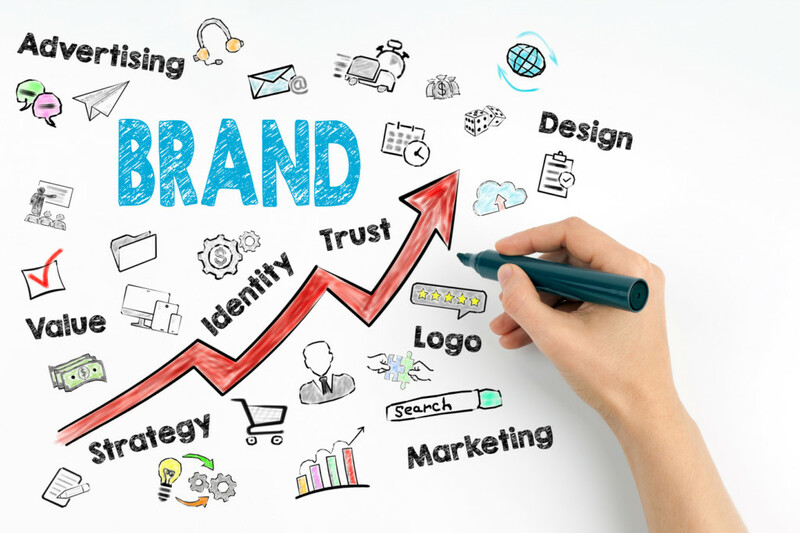 Branding helps in making your blog or website recognizable and set it apart from the competition. The first thing you should think about when starting or redesigning a blog is to create a visual image of your brand. There are many tutorials available online that will teach you the basics of brand creation. However, the following advice also apply to this specific task. I would advise you to read them carefully and make sure you get to check every single one of them when you design your blog. As I have said in the previous introductive section, there are a few reasons you might want to redesign your blog. If you don’t already have a logo, you want to change it or just to adjust it, this is your start point should you want to redesign your blog. The logo is your brand’s identity and it will be the first thing your readers, customers or fans will associate with you or your business. Even if you are not a professional designer, or you don’t have a budget to hire a professional, you can still design a great looking logo. There are several free online logo maker tools available. Choose the one that best suits your needs and proceeds with designing your main visual representation. Another important element of a blog is the header banner. In many cases, the header is nothing more than a logo with a slogan while in other cases, it is a separate and distinct design that completes the logo and the visual style of the brand.The header should be simple in terms of content. The header should be simple in terms of content. However, the design depends on how you want your brand to be perceived. You can use content in the form of a simple description of your blog, a marketing slogan or a call to action. Sometimes, all these three elements can be present on the blog header. The Everywhereist is a travel blog that gives us a great example of a simple yet effective header. Besides the title of the blog, the header section features a custom designer menu with four essential buttons. Cult Foo gives us another great example of a creative blog header that attracts its readers with its design and beautiful colors. Moreover, the navigational menu is simple and the search bar is right under the logo, very accessible and easy to notice from your first visit. This is a good example of how a logo based header should look like. The first thing the reader notices is the branded logo and the navigational menu that contains link to the most important categories. If you are a designer and you want to change your blog’s visual style, get inspired by this beautiful and artistic header created by Nick La, a Toronto based web designer and illustrator. The focus is on the right side of the header where, above a creative design, we can easily find the main navigational menu. This blog uses creative patterns in its header that feature cocktail glasses. This is exactly what the entire blog is about and this is why the header is not only creative but also a great addition to the brand’s visual style. If you like this style, try creating patterns as well and add colors if your brand or your blog requires it. Responsiveness is important due to the fact that not all computers have the same screen resolution. 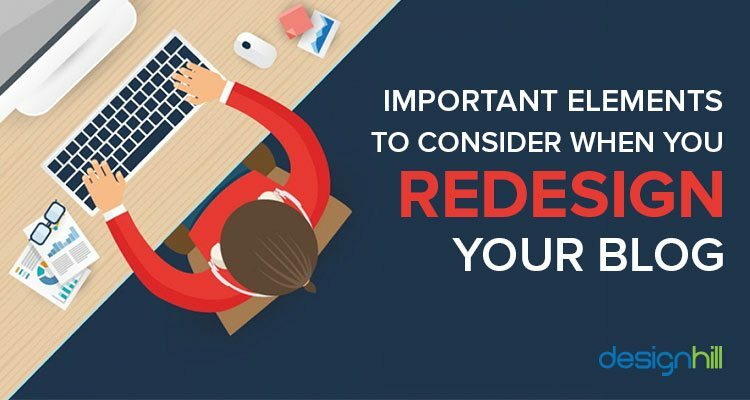 Thus, you should make sure that your blog does not lose in readability whatever the resolution of the computer from which it is being read. Most of today’s Internet users are reading their blogs from mobile devices, smart phones and tablets. They are easier to carry around and accessible on the road, from the office and virtually, from anywhere as long as there is a Wi-Fi, 3G or 4G connection available. They are not only important for readability but also for design. For readability, choose fonts that are easy to read in terms of size and spacing. For design purposes, choose the fonts that best suit your overall theme and the brand visual image. For instance, if your logo and header features a specific type of fonts, try using the same type or something similar in your blog posts. Also, make sure your titles and headers from inside the posts are clearly visible and easily noticed when they separate blocks of text. More bloggers are using spaces these days as an important component of the web page design. The spaces between the chunks of texts from your posts determine the flow of the blog and its readability as well. Keep in mind, however, that it is important to be consistent when dealing with spaces and ensure your texts look the same on each page. Choose a basic and easy to spot navigation menu to make it easier for your readers to find what they want. Depending on your blog destination, five to ten navigation menus should be enough. Whether you have a small business blog or a personal blog, it’s important to tell your readers who you are and what you are writing about, what services you are providing, the products you are selling, etc. Here, you can also describe your philosophy or your company’s philosophy, how it all started and what are your goals. The “About” page can feature clients’ testimonials as well as your contact details, in case there is no dedicated page for that kind of information. If this is a business blog, consider adding some photos with the team that’s behind the website and even some extra info on each member, contributor or author. If this is a personal blog, you can just add some photos of yourself. Thus, you can create a sense of closeness with your readers, who are able to tell from the start who is the individual behind the blog they like to read. Example of a great “About us” page: The Copyblogger. It starts with a group photo of the entire team and continues by telling the story of the blog. It ends with a call to action button that invites readers to subscribe for a free membership on the blog for free training and updates. If you are a blogger or, in case you manage a business blog, you already know that besides the valuable content, in order to be noticed, you need to stand out from the crowd. You can do it by paying attention to how your blog looks like, by giving it a unique yet beautiful design. Starting with the logo creation and up to the “About us” page, I have tried to point out some of the most important steps required in order to design or redesign your blog. Make sure you check every single one of them on your “to do” list and rest assured that you did everything you can in pursuit of the ideal design for your blog’s success. Should you have anything to add to this list, I invite you to give your input in the comments section available below.